Anderson, a West Bend resident, felt a duty to serve his country, causing him to enlist into the United States Army during the Iraq War. Being in war for four years took a toll on Anderson, disconnecting him from his friends and family. These struggles led him to go on a cross-country walk where he worked to find inner peace and reconnect to society. 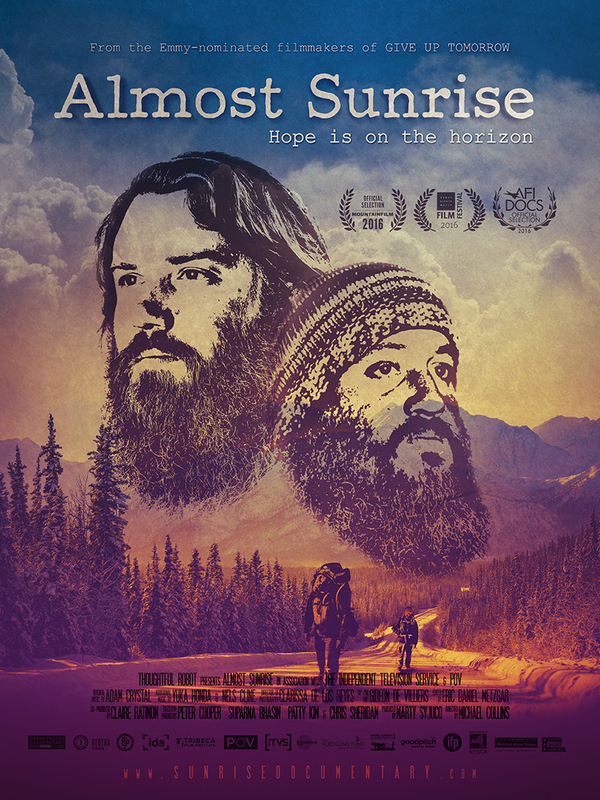 This journey was captured in a documentary called “Almost Sunrise” featuring Anderson and Tom Voss, another Wisconsin veteran. This film is not only being shown at the Milwaukee Film Festival, but there will be a local showing Monday at the University of Wisconsin-Washington County. The event will include a Q&A with both Anderson and Michael Collins, the movie’s director. Tickets can be bought from Mr. Zappia’s War and Peace students for $10. Anderson and his family live in West Bend and are very involved in the community. Anderson is both nervous and excited for locals to watch his film. He hopes this film can show people how war can greatly affect their friends and family and even people in their communities. Below, he answers questions from The Current about his war and movie experiences. What motivated you to enlist? My family always taught and expected service to your community in some way, service to your community and country was encouraged. I knew at a young age I would serve in the military in some capacity. I thought the role of the soldier was a noble one that would make my family proud, answer the call and expectation of service, and I felt a duty to serve. I thought it would be a great opportunity to do something interesting, earn some money for college, and serve my community and country. How many times were you deployed? I deployed twice to Iraq. My first deployment was 2004 to 2005 to Camp Liberty in Baghdad and my second was to LSA Anaconda in Balad, Iraq from 2007 to 2008. I was in the infantry. How did war change you as a person? My experiences in Iraq have influenced my life in almost every way you can imagine. How I see the world, people, religion, war itself. All of these things and more have been impacted. Even how I am with my family has been influenced by my experiences in Iraq. I think, briefly, I’d say I deployed both times and was out of the military by the time I was 25 years old. I didn’t have a ton of life experience beyond Iraq. It was, at that time, the watershed period of my life. What motivated you to do the walk? Was it a specific event or build up? Did you feel it was a necessity? I was motivated to do the walk because I wanted to be a better dad and husband. Coming home, I disconnected from a lot. I would go to work and school and do well. But personally, I was struggling. My interpersonal skills were diminished. My wife and I weren’t clicking. I felt I needed answers in my life and the walk seemed like a perfect opportunity to do something altruistic with the awareness campaign and donation drive, while simultaneously providing my friend and I the chance to work together as peers to work through some of our unresolved issues. I feel it was not only necessary, I think it was vital. How long did it take you to do the walk and where did you walk to? We walked for 155 days. 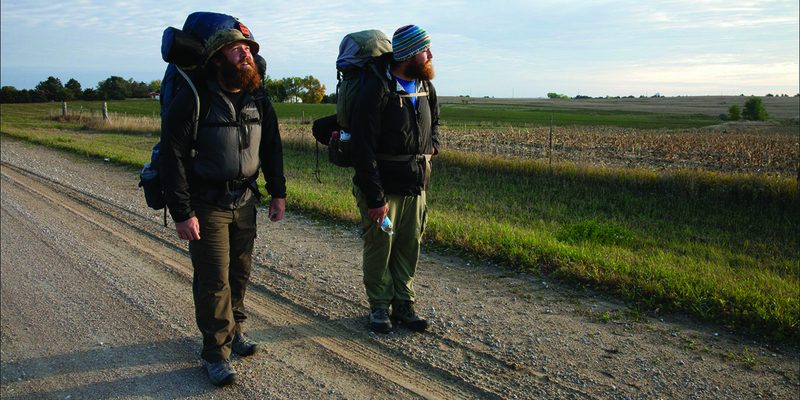 We walked through Wisconsin, Iowa, Nebraska, Colorado, New Mexico, Arizona, and Southern California. We walked through farm areas, mountains, deserts, and everything in between. My favorite was Colorado. My least favorite was Wisconsin, but not because I don’t like Wisconsin. It was just oppressively hot and humid when we walked in Wisconsin and we were just trying to get our bodies to accept walking day after day, mile after mile. Wisconsin was a struggle. Reflecting back, how has the walk changed and helped you? The walk has replaced some of my negative intrusive memories with good ones. The walk provided me new and needed perspectives on my experiences and my life. The walk provided time and opportunity to actually and fully address some of my unresolved and misunderstood issues. Ultimately, the walk plugged me back in. I also feel like the walk helped me start to trust people again. I didn’t trust many people. I isolated myself, cut myself off, for a long time. So, getting out and seeing so much good was restorative too. How do you feel about this film being brought home and having a platform to talk about the effects of war? I’m always nervous watching the film with people. I hope people come and watch, learn something, and are, ultimately, able to better consider the impact of war on families within even their own communities. I’m not the only Iraq or Afghanistan veteran living here. Our experiences are unique, but our communities have a big role in our healthy reintegration. I’m happy to discuss these topics. I am a pretty private person, believe it or not, but I do believe this topic is something worth being open and honest about. Would you ever allow your child to enlist? If my daughter, or any other children I might have, wanted to join the military, I’d be both happy and proud, along with nervous and anxious. Military service is a very honorable thing to do. The sacrifice and selflessness and duty shown by those in the military is admirable. So, of course I’d be happy. But, military service is very hard, too. I’d hope that should they want to serve, they’re able to achieve what they hope to achieve, leave the military, and be successful in their lives. I think military service would help them achieve that later success. I’d encourage them to choose a job in the military that better links with civilian careers.